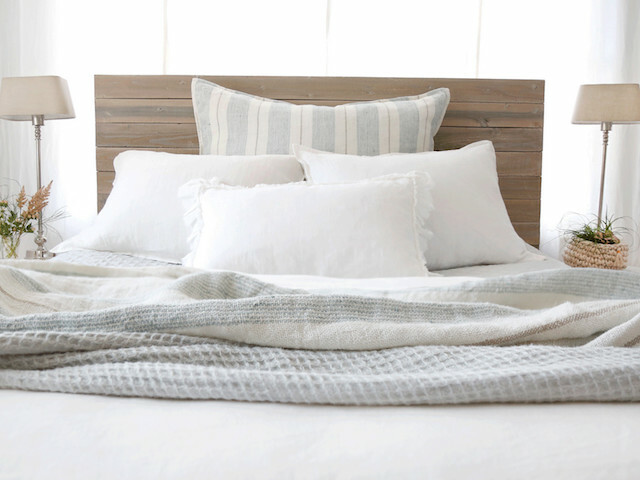 As natives of Belgium, Pom Pom at Home naturally has a passion for everything linen. Designer and CEO, Hilde Leiaghat, grew up in the countryside of Belgium where she and her father frequently visited flea markets where they shared a love for discovering wonderful and unusual treasures. She attributes her love for antiques and vintage linens to that time in her life. Pom Pom at Home was derived from the earlier successful Pom Pom Interiors retail locations scattered throughout Los Angeles since the company’s first inception in 1991. Pom Pom at Home embraces a passion for all things beautiful. Throughout the creative process, their mission to evoke a sense of romanticism, peaceful memories, and gentleness is always kept in mind. Their “lived-in” elegant look has continued to evolve over the years, but has always stayed true to their foundation of inspiration; to transform everyday experiences into sheer delight.